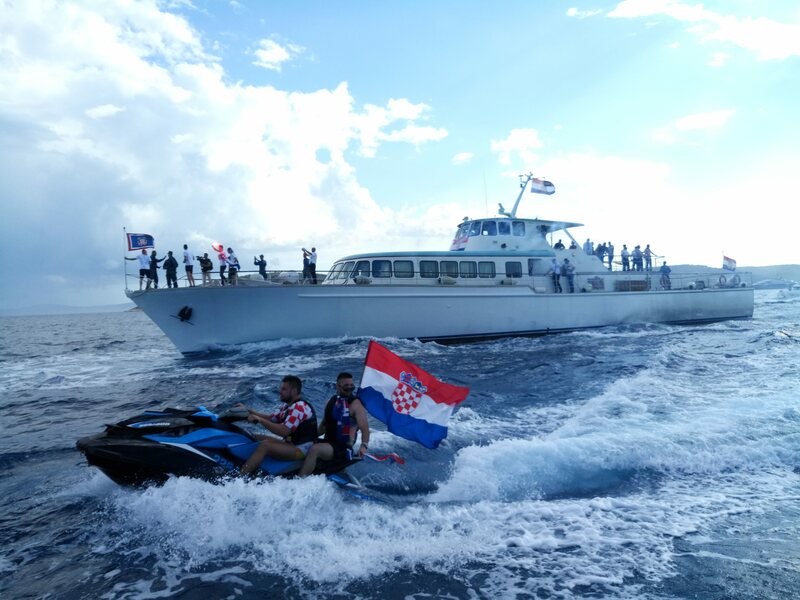 There is no end to celebrations of Croatian FIFA success. 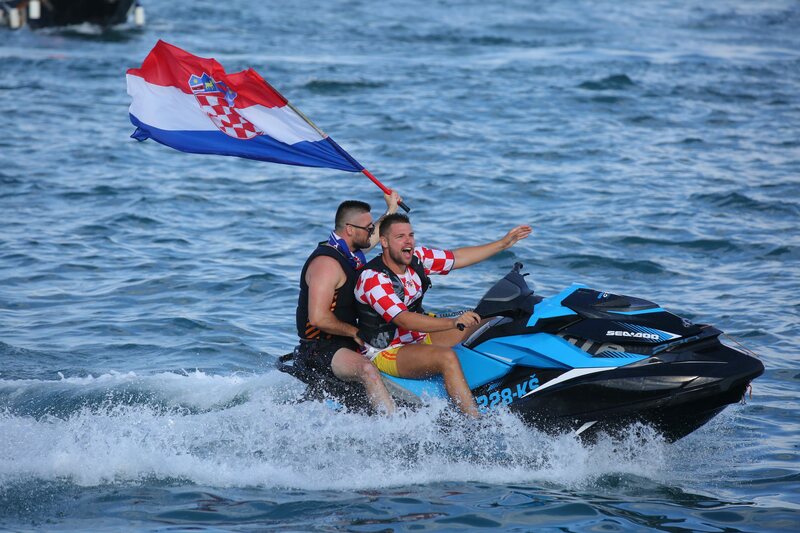 Being second to champions of Soccer World Cup is tremendous achievement, especially when you know what kind of teams Croatia has managed to thwart. 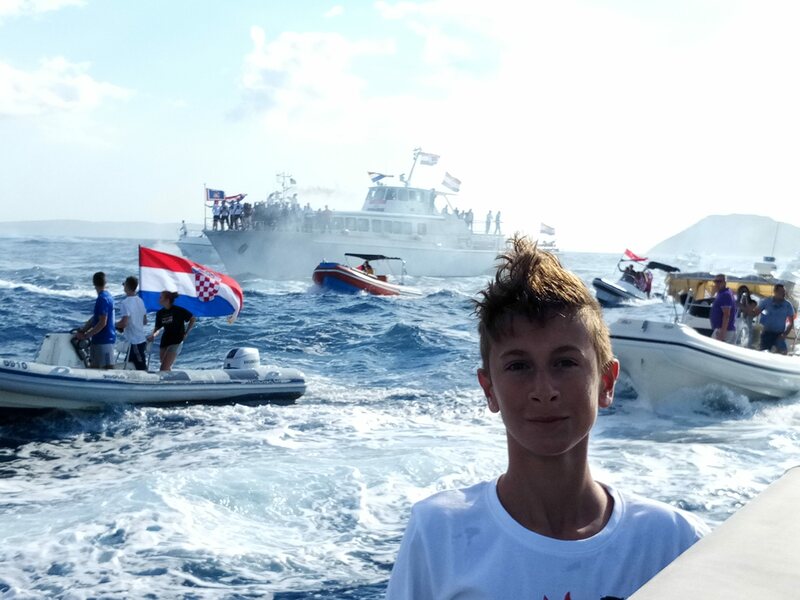 On the way to Croatian silver medal, the local team has won many skilled opponents. 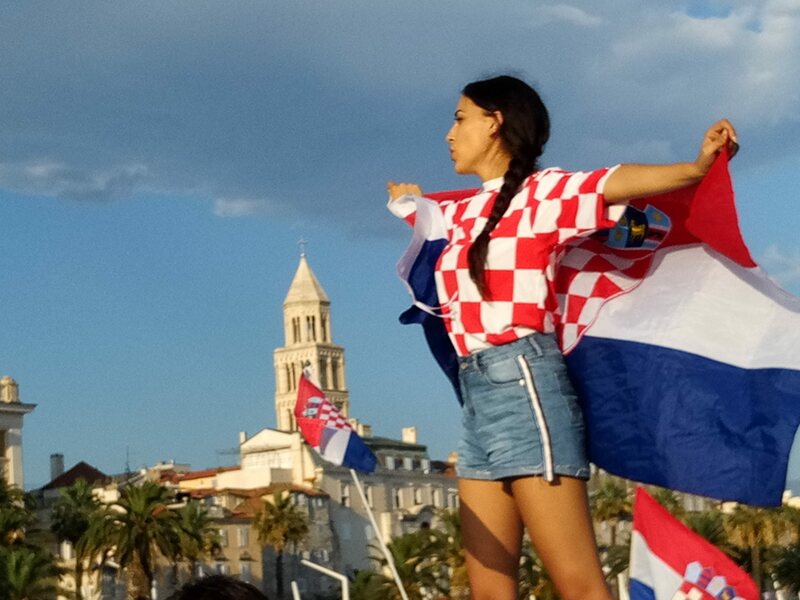 We covered the football voyage in our own way, pitching Croatia against Nigeria, Iceland, Denmark, England, Argentina, Russia and France in tourism matches. 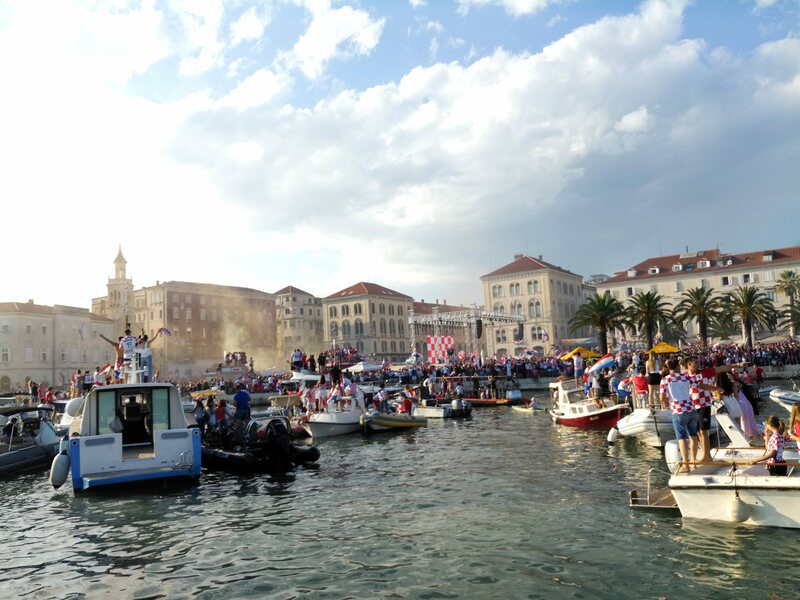 But one must admit, soccer was much more exciting. 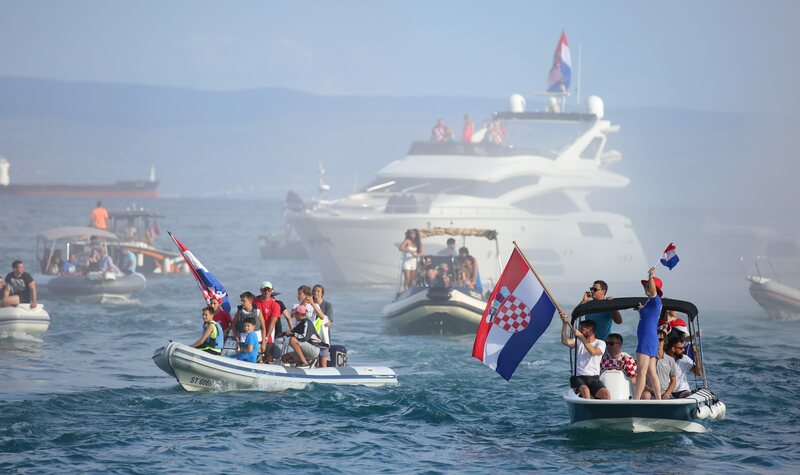 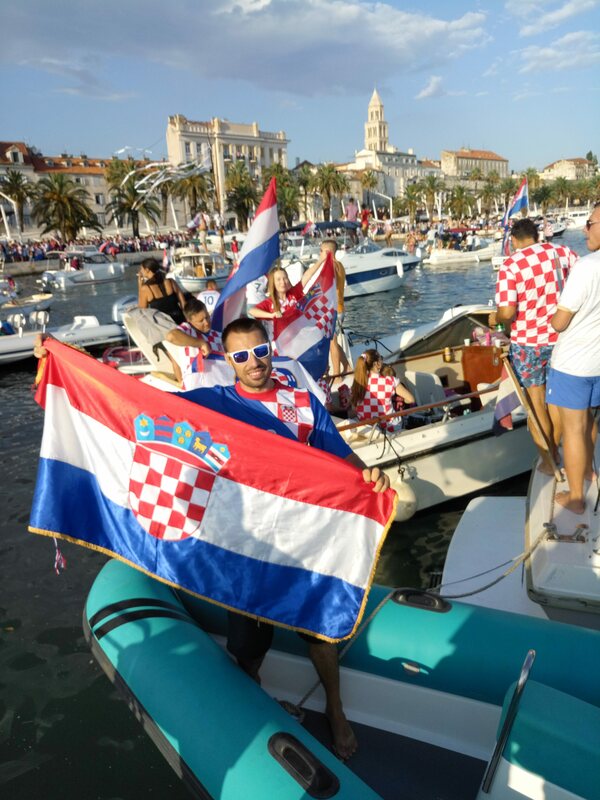 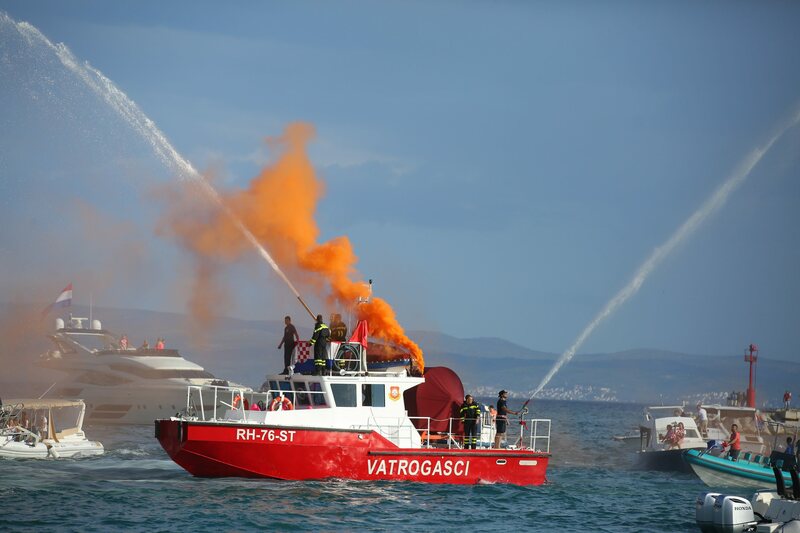 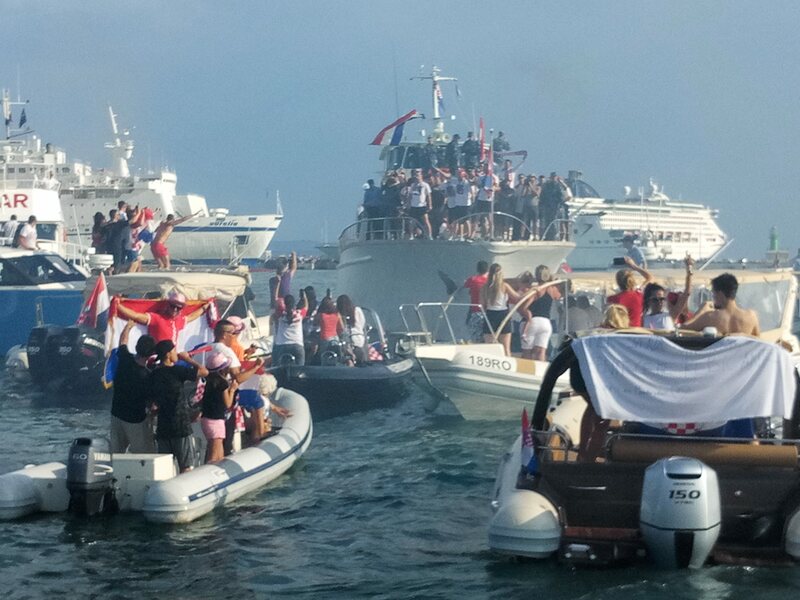 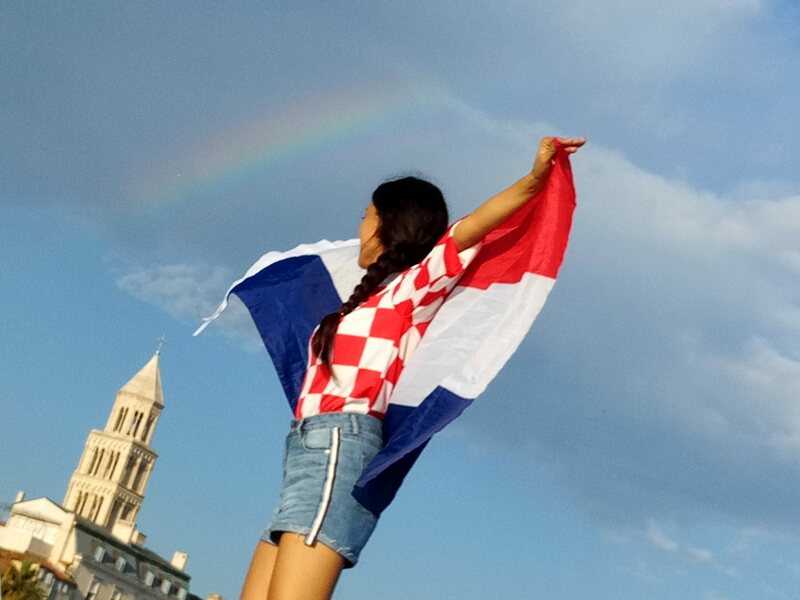 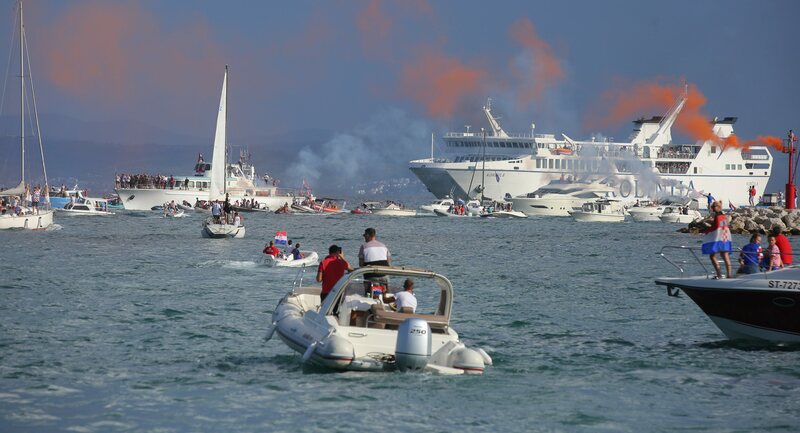 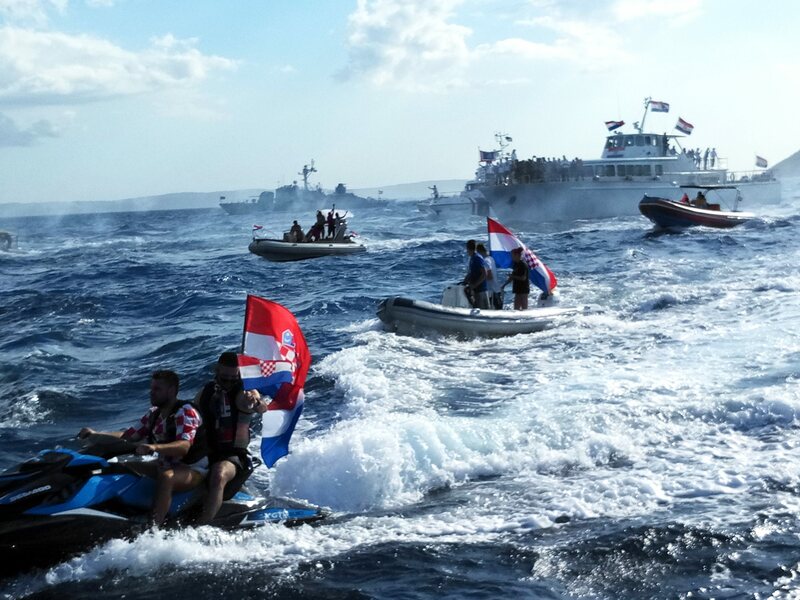 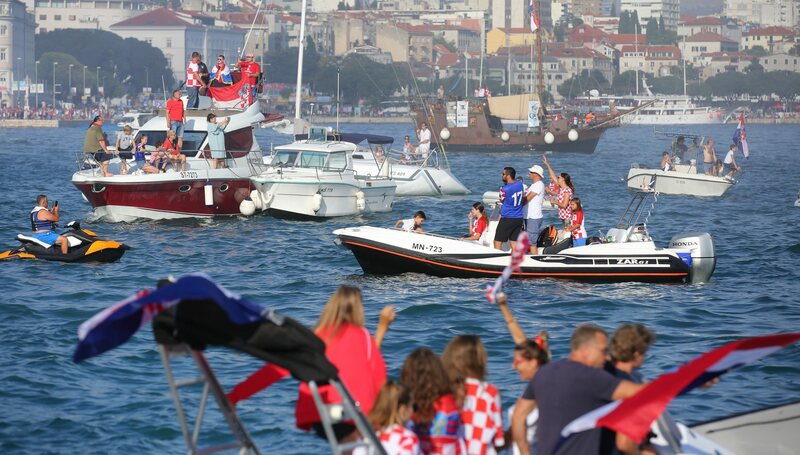 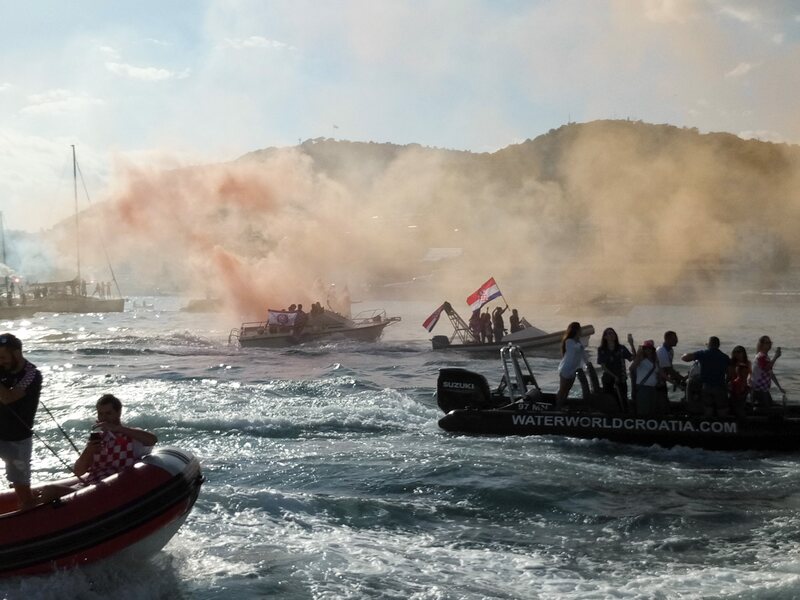 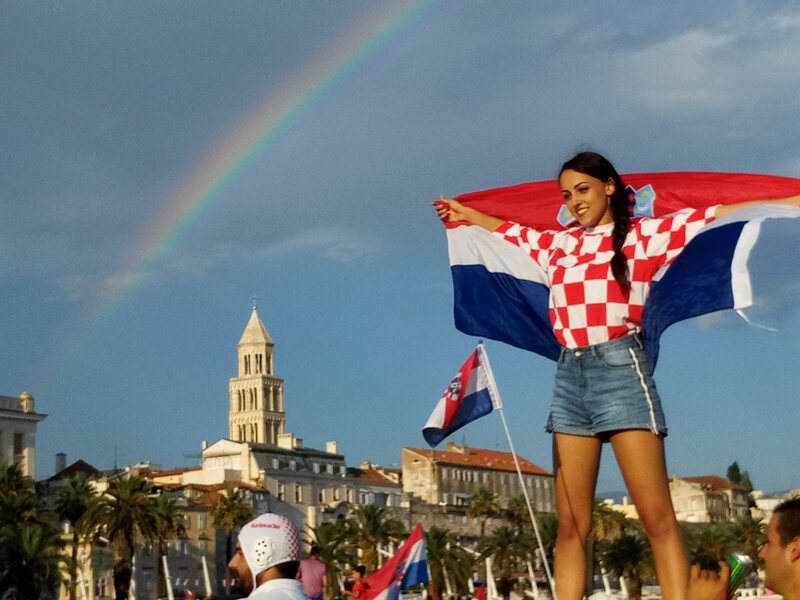 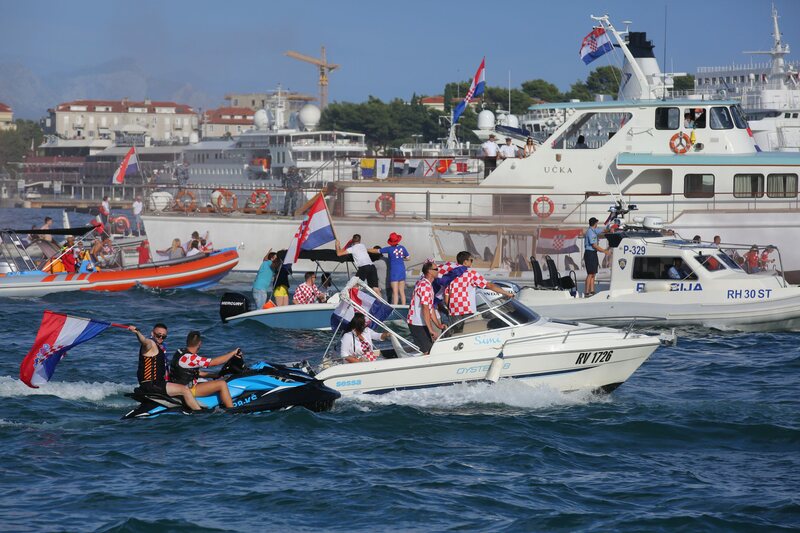 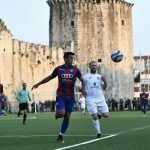 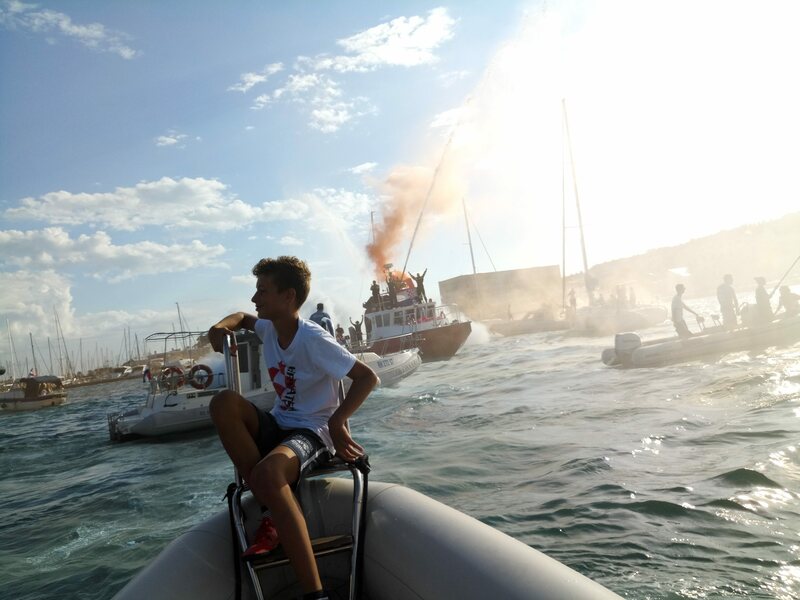 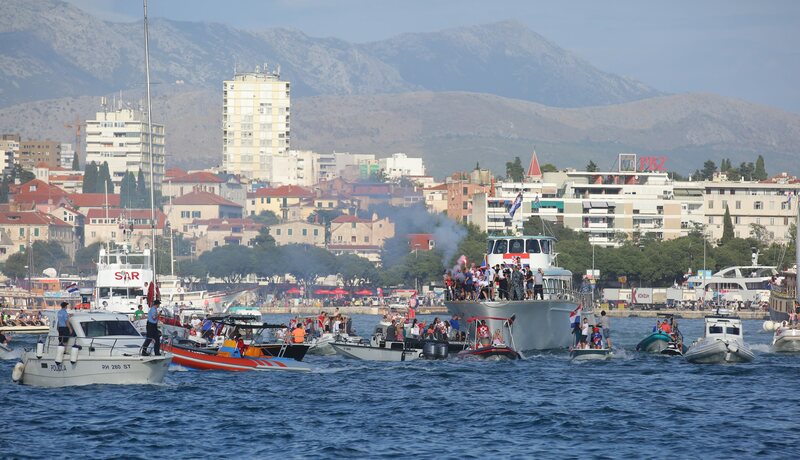 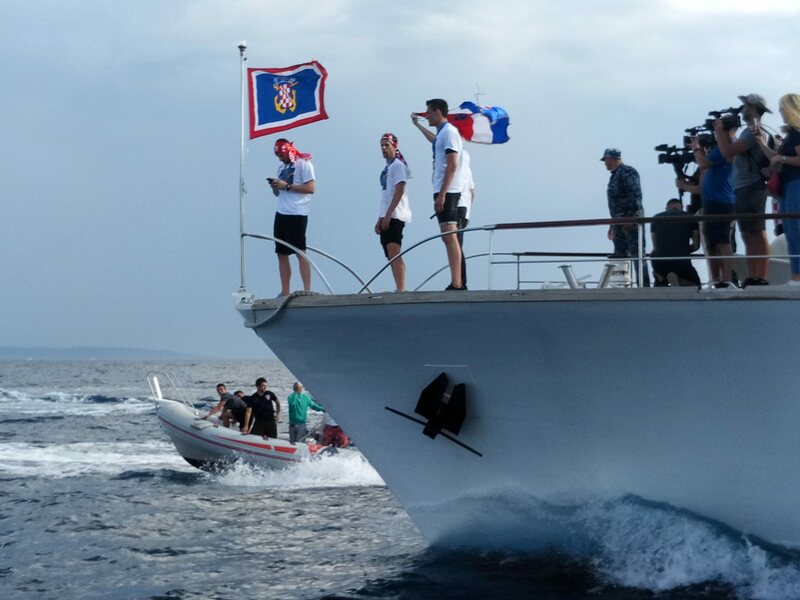 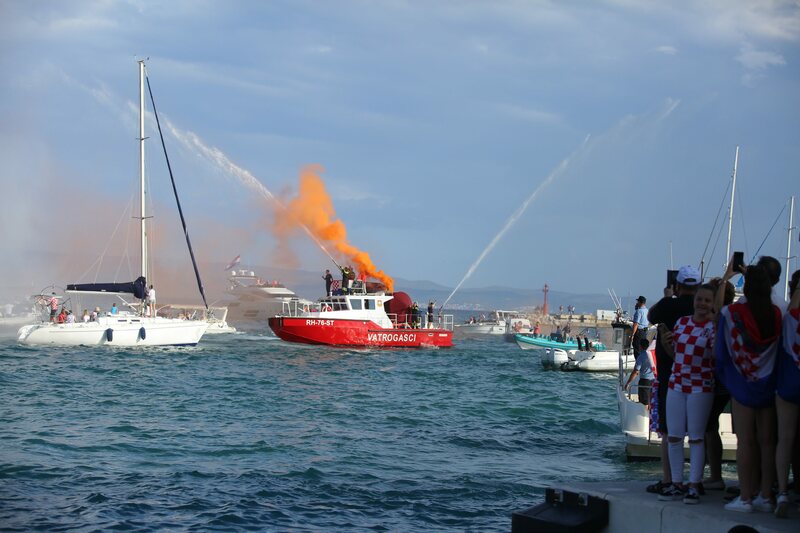 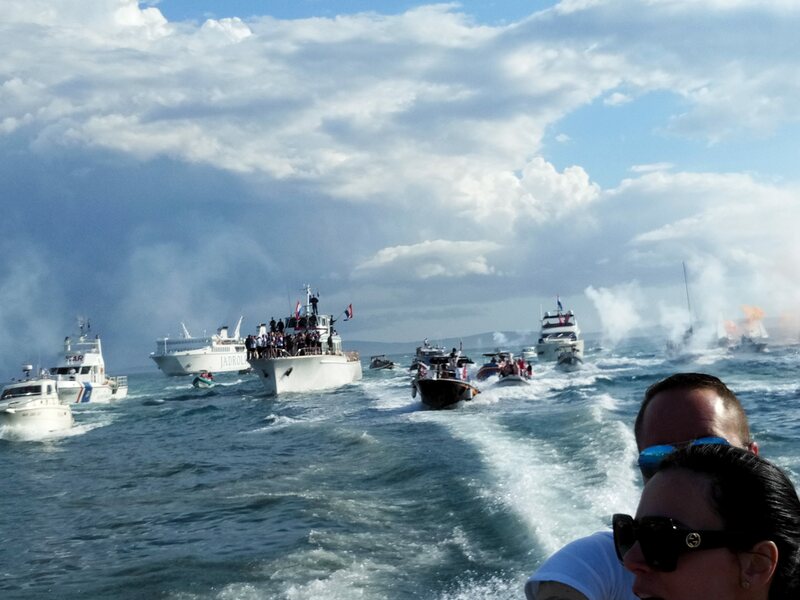 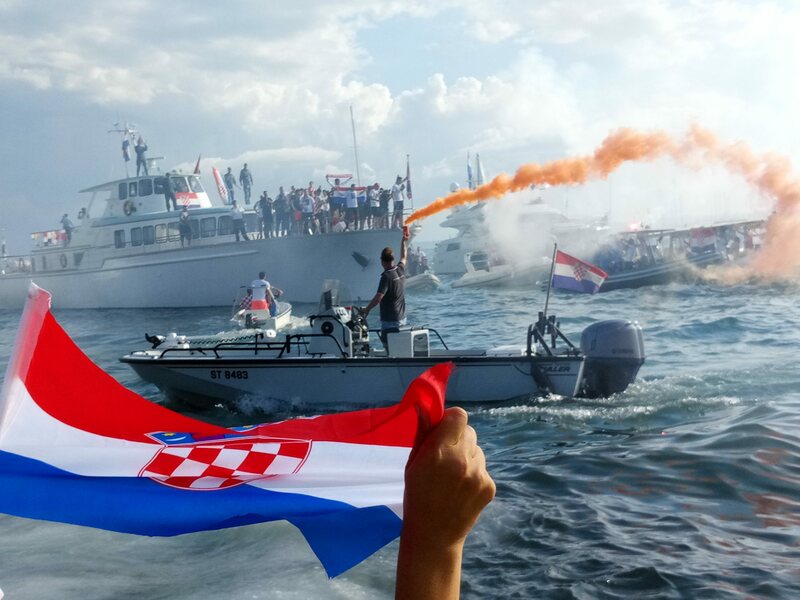 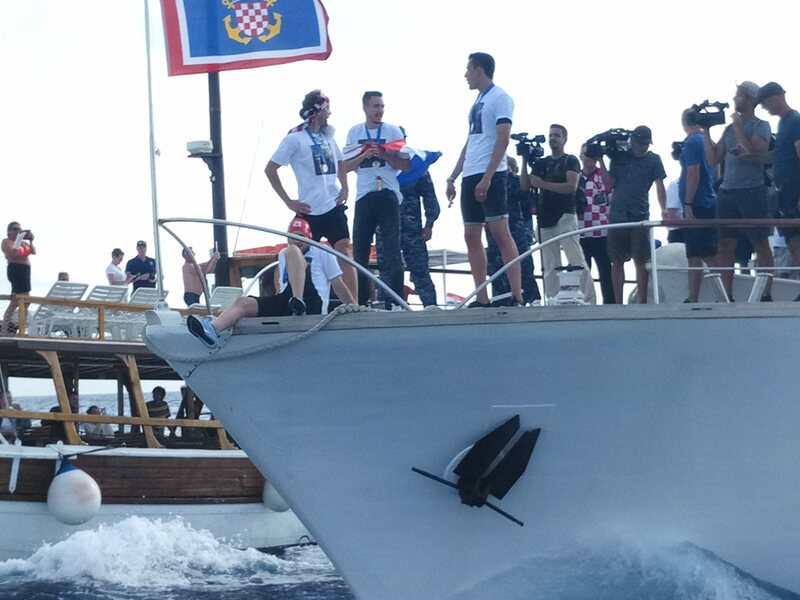 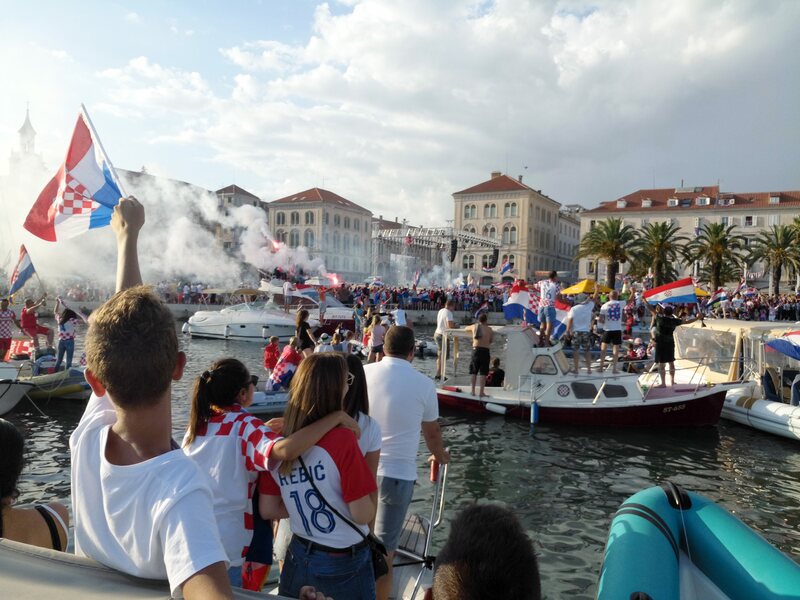 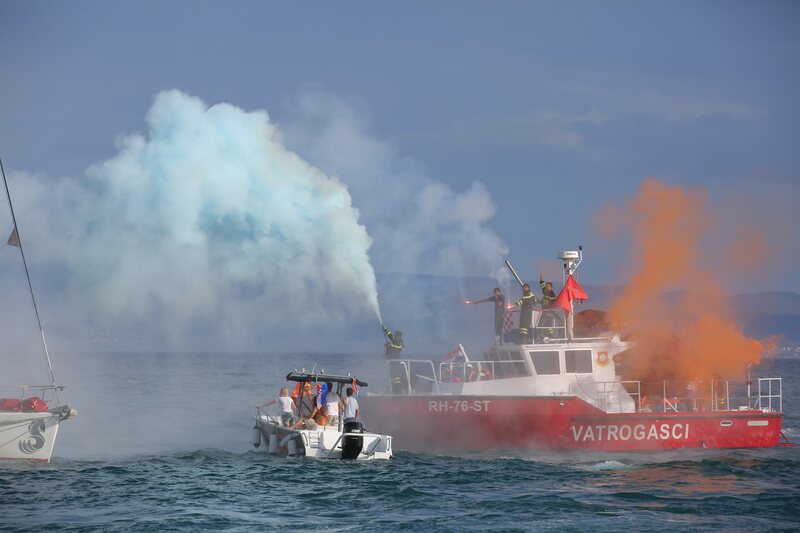 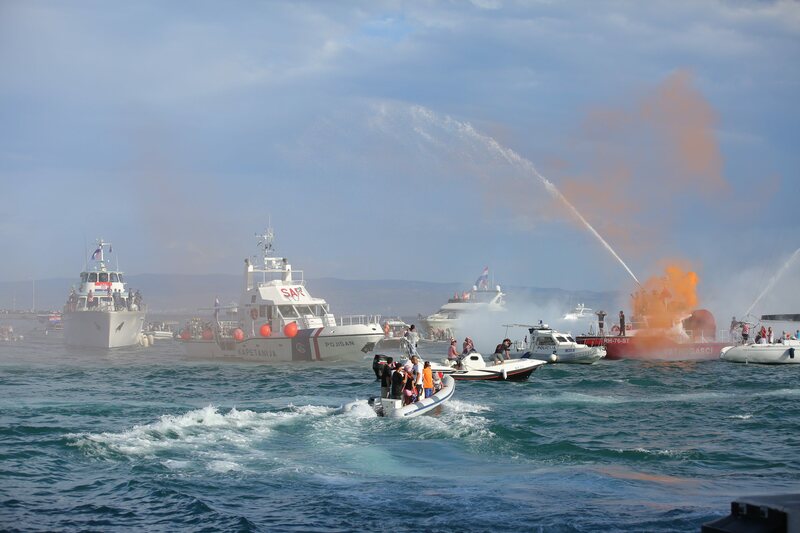 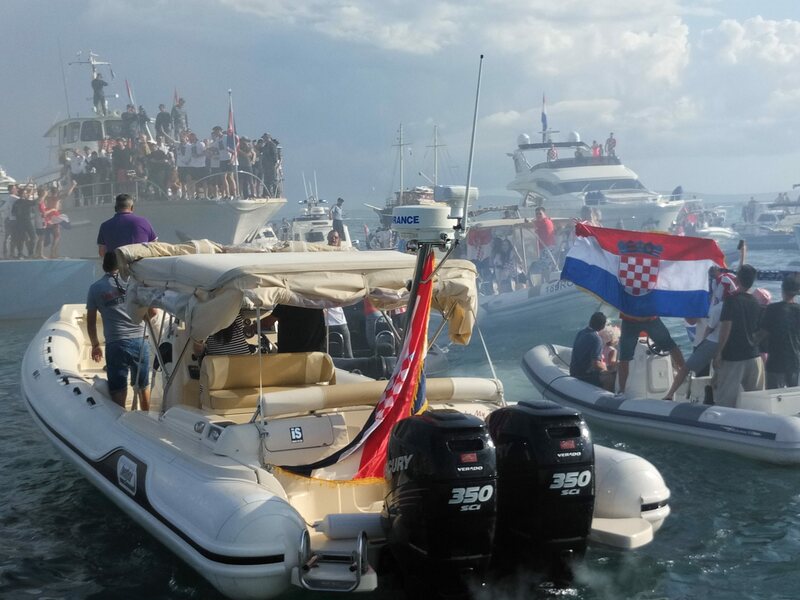 The Croatian City of Split, founded as a palace of Emperor Diocletian and serving as a capital of Dalmatia region, has recently welcomed his own football heroes and made a large naval fiesta to celebrate Croatian silver medal. 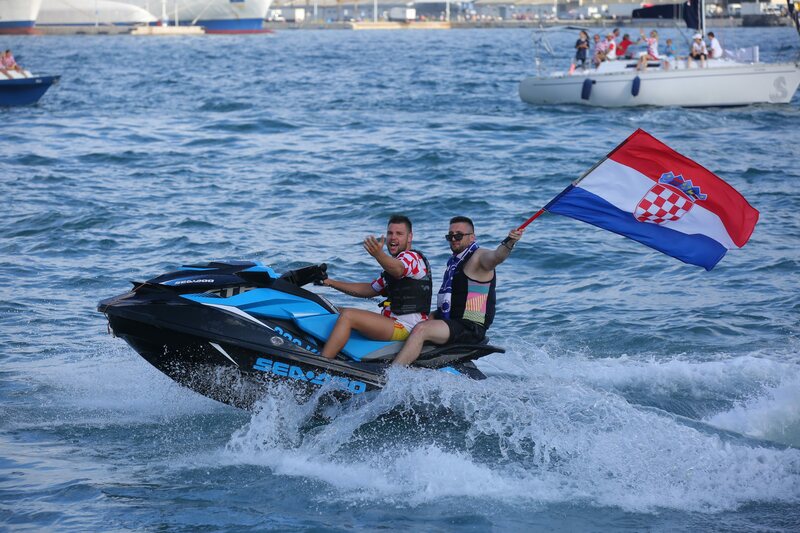 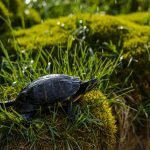 Football players Ivan Perisic, Lovro Kalinic, Ivan Strinic and Ante Rebic have returned to their home, and what kind of return it was. 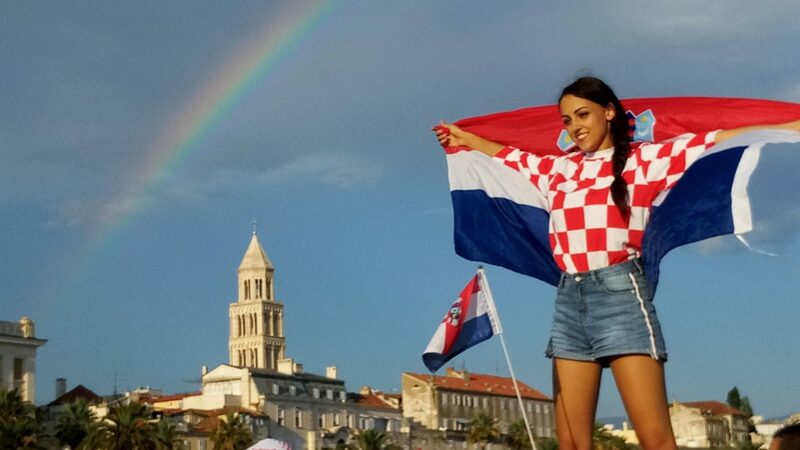 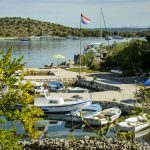 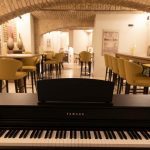 Check out the happy faces of local residents in our image gallery below and do consider visiting Split during your vacation in Croatia.